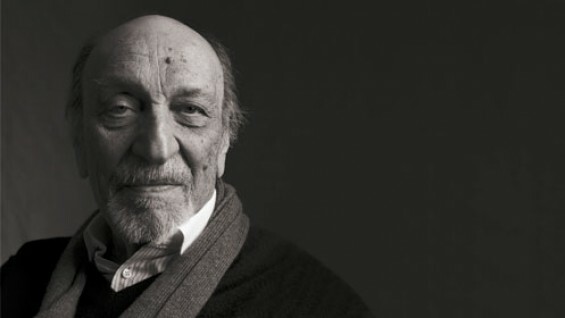 Celebrated artist and designer Milton Glaser A’51 will deliver the keynote address at Cooper’s 2015 commencement ceremony. The Cooper Union’s 156th graduation will take place in The Foundation Building’s historical Great Hall on Wednesday, May 27, 2015 at 10:30 a.m.
A co-founder of both New York and Push Pin Graphics magazines, Mr. Glaser is one of the most influential and prolific designers in the United States of the last century. A graduate of Cooper’s School of Art, his work spans many disciplines including graphics, interiors, furniture and products. Known for the iconic I Love NY logo and the World Health Organization’s International AIDS symbol, Mr. Glaser was the first graphic designer to be awarded a National Medal of Arts in 2009. His work has been featured in solo shows at the Museum of Modern Art, the Georges Pompidou Center and The Philadelphia Museum of Art. After graduating in 1951 from Cooper, Mr. Glaser received a Fulbright Scholarship to study at the Academy of Fine Arts in Bologna, Italy. After returning to the United States, he co-founded Push Pin Studios in 1954 with fellow Cooper classmates Seymour Chwast A’51, Reynold Ruffins A’51 and Edward Sorel A’51. Mr. Glaser went on to co-found New York Magazine in 1968 with Clay Felker and teamed with Walter Bernard in 1983 to form the publication design firm WBMG. His current studio, Milton Glaser, Inc., is a multidisciplinary design firm established in 1974 that specializes in print and web design, including corporate identity and logos, and environmental and interior design. He received the 2004 Lifetime Achievement Award from the Cooper Hewitt, Smithsonian Design Museum, for his profound and meaningful long-term contribution to the contemporary practice of design. Mr. Glaser, who also served as a trustee for Cooper and the School of Visual Arts where he also was an instructor, was born and continues to reside in New York.